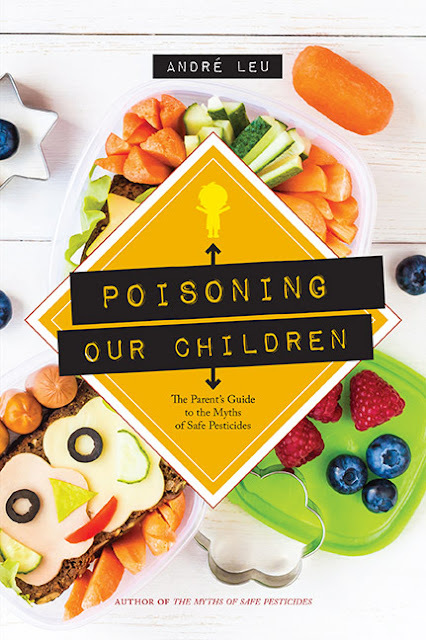 Jaquo is pleased to be a part of the book tour for Author Andre Leu’s “Poisoning Ou Children: The Parents Guide to Myths of Safe Pesticides. Such an important topic, this is a book you won’t want to miss. Hosted by iRead Book Tours, the author will be stopping in at various sites for reviews, articles and more. Do drop in at some of the tour sites for more information on the author and his important books. On the same tour is Myths of Safe Pesticides. You can learn more about that book here on Jaquo as well. The following is an excerpt from André Leu’s 2018 book, Poisoning Our Children, which is on sale at www.acresusa.com. The news release contained the following statement from the United States Environmental Protection Agency (EPA): “The newest data from the PDP confirm that pesticide residues in food do not pose a safety concern for Americans. EPA remains committed to a rigorous, science-based, and transparent regulatory program for pesticides that continues to protect people’s health and the environment.” So according to the EPA and the USDA, parents should have no concerns because the pesticides in food are safe. Hundreds of peer-reviewed scientific papers by scientists and researchers challenge this assertion. So, let’s look at the science to understand why experts have serious concerns about the safety of pesticides. One of the greatest pesticide myths is that all agricultural poisons are scientifically tested to ensure that they are used safely. According to the United States President’s Cancer Panel (USPCP), this is simply not the case: “Only a few hundred of the more than 80,000 chemicals in use in the United States have been tested for safety.” The fact is that the overwhelming majority of chemicals used worldwide have not been subjected to testing. Given that according to the USPCP the majority of cancers are caused by environmental exposures, especially to chemicals, this oversight shows a serious level of neglect by regulatory authorities. The USPCP 2010 report was written by eminent scientists and medical specialists in this field, and it clearly states that environmental toxins, including pesticides, are the main causes of cancers. Published by the U.S. Department of Health and Human Services, the National Institutes of Health, and the National Cancer Institute, the report discusses many critical issues of chemical regulation. Nearly 1,400 pesticides have been registered (i.e., approved) by the Environmental Protection Agency (EPA) for agricultural and non-agricultural use. Exposure to these chemicals has been linked to brain/central nervous system (CNS), breast, colon, lung, ovarian (female spouses), pancreatic, kidney, testicular, and stomach cancers, as well as Hodgkin and non-Hodgkin lymphoma, multiple myeloma, and soft tissue sarcoma. Pesticide-exposed farmers, pesticide applicators, crop duster pilots, and manufacturers also have been found to have elevated rates of prostate cancer, melanoma, other skin cancers, and cancer of the lip. Approximately 40 chemicals classified by the International Agency for Research on Cancer (IARC) as known, probable, or possible human carcinogens, are used in EPA-registered pesticides now on the market. There are several key areas in particular in which many experts and scientists believe testing has not sufficiently established that the current use of pesticides and other chemicals is safe. This means that about half the foods in the United States contain a mixture of chemical residues. Pesticide residue surveys in most other countries show similar results. Because people consume a variety of foods, with around 77 percent containing residues of different types of agricultural chemicals, most people’s normal dietary habits include consuming a chemical concoction of which they are unaware. A study by the U.S. Centers for Disease Control and Prevention (CDC) found a cocktail of toxic chemicals in the blood and urine of most Americans tested. In 2009 the Environmental Working Group (EWG) found up to 232 chemicals in the placental cord blood of newborns in the United States. Many of these pollutants have been linked to serious health risks such as cancer and can persist for decades in the environment. Regulatory authorities assume that because each of the active ingredients in individual commercial products is below the acceptable daily intake (ADI), the cocktail is thus also safe. They do not test these combinations of chemicals—the chemical cocktails that are ingested daily by billions of people—to ensure that they are safe. The emerging body of evidence demonstrates that many chemical cocktails can act synergistically, meaning that instead of one plus one equaling two, the joint action can exert a toxic, damaging effect that’s three, four, five, or even several hundred times higher than the sum of the two effects when the chemicals act separately. 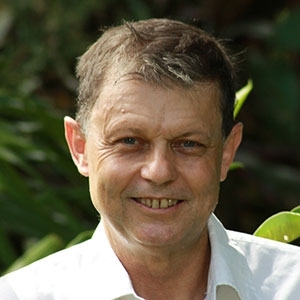 André Leu is a founding member and director of Regeneration International. He served as president of IFOAM Organics International from 2011-2017. He is the author of the award-winning book, The Myths of Safe Pesticides. Editor’s Note: References to specific reports and bibliographic information has been withheld in this article due to space. These are sourced in the book. Parenting was never easy. While loving, teaching and nourishing children, parents also seek to protect them from harm. The past few generations, however, have been silently attacked by thousands of manmade, poisonous chemicals carried into homes and children’s bodies in our food supply. The chemical-based conventional agriculture industry claims that the synthesized concoctions they sell as pesticides, herbicides, and insecticides are safe when used as directed,but does the scientific evidence truly support their assertions? When pesticide residues are found in 77 percent of all foods in the United States, it’s important to know the truth. Organic agriculturist André Leu has weeded through a wealth of respected scientific journals to present peer-reviewed evidence proving that the claims of chemical companies and pesticide regulators are not all they seem.